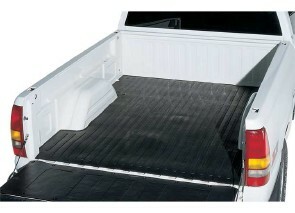 ProMaxx Rubber Bed Mats help prevent shifting cargo from damaging your truck bed. Custom fit to your truck by contouring around wheel wells for ultimate coverage. Don't forget to protect your tailgate with a ProMaxx Rubber tailgate mat. ProMaxx Bed Mats will last the life of your truck.